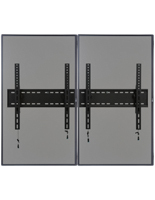 Create a menu board in your shop, restaurant, or information center with this 2-TV wall bracket. 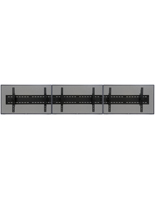 Built to accommodate dual LCD or other flat screen monitors ranging from 30” to 60” in size, this mount is ideal for establishments big and small. 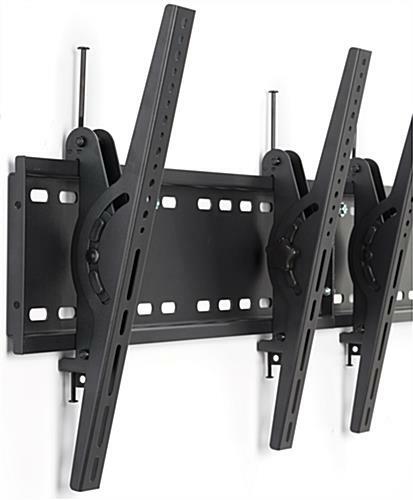 The tilting wall brackets can adjust between 10° and 15° to allow placement higher up for greater visibility. 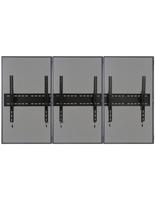 Hardware is included to hang the unit in your shop as well as to mount the VESA compatible LED, LCD, or other flat screen device. 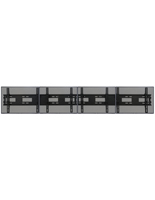 Fixtures such as this can be used to showcase customized digital signage in hotels, bars, and universities. 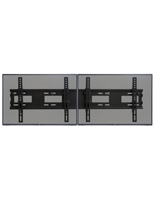 Bring versatility to your establishment with this bracket that can accommodate dual large panel televisions. 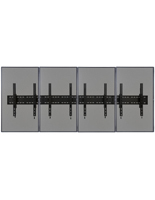 71.0" x 18.1" x 3.0"
Easy to mount, easy to assemble, easy TV adjustments. Wall anchors could be better. We appreciate your feedback, Joel and will pass your note about the anchors on to our product team for review. Thank you for taking the time to share your thoughts.